The only Spill-Proof spout with thumb button control that does not push down on your tank's filler neck to pour. More control, fewer tip-overs of your small equipment. The fastest pouring Spill-Proof nozzle available. 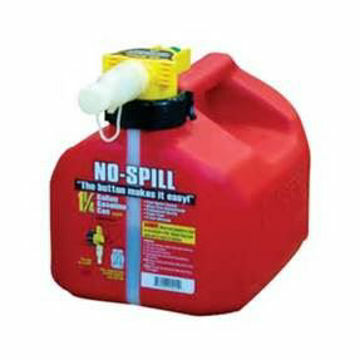 At up to 3 gal/min, compare to other brands at 1.5 to 2.0 gal/min. Meets California Air Resources Board requirements for sale or use in California. Autostop removable nozzle, single opening for filling & pouring, treated can body for low permeation. 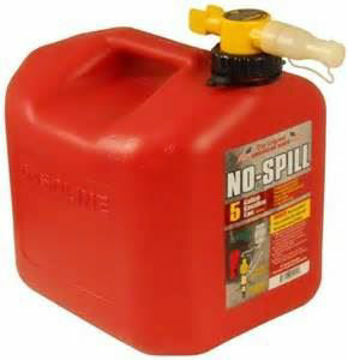 Rear handle for pouring makes it the most user friendly Diesel can available. 6" Flex Spout Extension (sold separately) allows filling of on-road vehicles, boats and many other hard to reach tank openings.